REGINA—Prime Minister Justin Trudeau says Russia’s likely involvement in the chemical attack on one of its former spies in the United Kingdom must be condemned in the strongest terms. The Russians are accused of using a nerve agent against former spy Sergei Skripal and his daughter Yulia. “The attack is despicable and unacceptable that there be chemical weapons used against citizens of the United Kingdom,” Trudeau said March 14 in Regina. Trudeau said he spoke with Prime Minister Theresa May to offer Canada’s support. “Canada stands with its friend and ally the United Kingdom on this,” he said. Trudeau’s comments came after May expelled 23 Russian diplomats, severed high-level contacts and promised both open and covert action against Kremlin meddling. Moscow ignored a midnight deadline to explain how the nerve agent Novichok, developed by the Soviet Union, was used against Skripal, an ex-Russian agent convicted of spying for Britain, and his daughter. 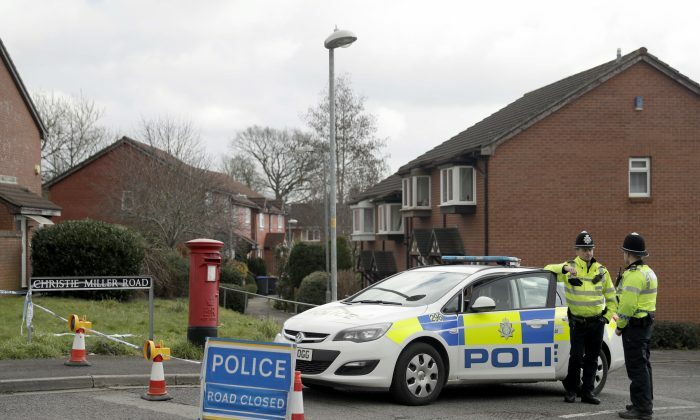 They remain in critical condition in a hospital in Salisbury, southwestern England, after being found unconscious March 4. May told the House of Commons that 23 Russians diplomats who have been identified as undeclared intelligence officers have a week to leave Britain. She also announced a range of economic and diplomatic measures. An invitation for Russian Foreign Minister Sergey Lavrov to visit Britain has been cancelled, and British ministers and royals won’t attend the soccer World Cup in Russia this summer.